Lee and Briggs, Ironmongers was established in 1913 in premises previously owned by Mr. Albert Teal, a cabinet maker furniture dealer who was noted locally at the time because he wore a badly fitting wig. The building has three floors and the top floor was occupied by George Mathers, a cricket bat manufacturer. The middle floor by the Salvation Army, who used it as an assembly room. 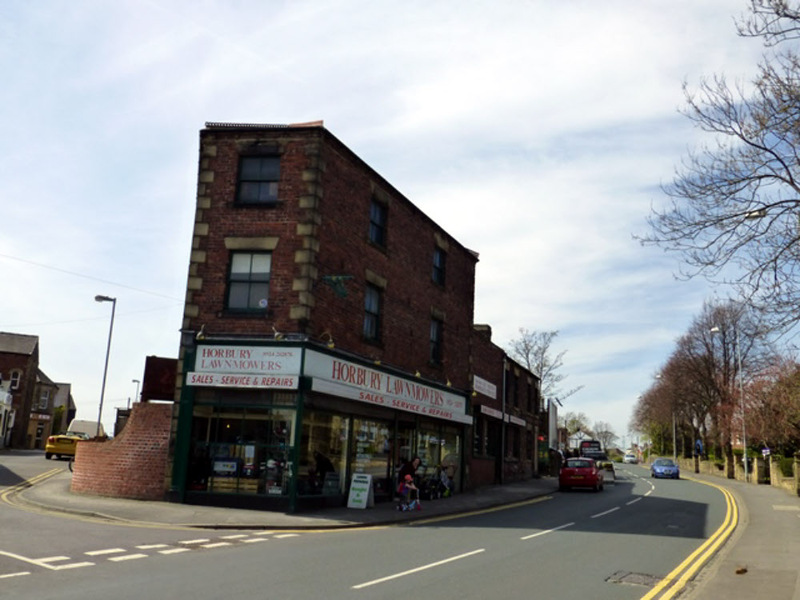 Lee and Briggs were located on the ground floor and was for over 70 years a Horbury institution. The shop was renowned far and wide as a place where you could buy things like a gas mantle or a 5/8" Whitworth bolt long after such things had gone out of fashion. Lee and Briggs shop was located at the junction of Jenkin Road and Westfield Road, opposite Tithe Barn Street, originally with the Midland Bank von the right. The bank closed in 1986. Above: Some of the drawers which were re-used in the Lee and Briggs shop to house things like nuts and bolts or screws. 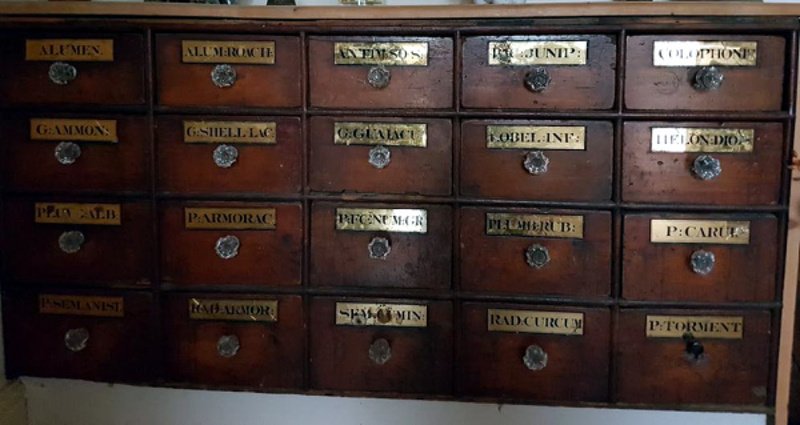 These wooden drawers were originally in use at the chemist shop of Alfred Radley Briggs and, as can be seen from the labels, they originally housed various substances used in the chemist's shop, e.g. Rad:Curcum, which is Tumeric powder. Photograph is courtesy of Anne Ellis. Lee and Briggs were major suppliers to the public and to the building trade as ironmongers, plumbers merchant and builders merchant. When the company first started trading in 1913, they used to deliver their goods on a two-wheeled hand cart. The more orders that were received, the earlier the proprietors had to get up, since they had to deliver the goods before the shop opened. At the time, all ironmongers were known as "black aproners." In the first month of trading, takings amounted only to £30. In those early days, the shop was open six days a week and stayed open until 11 p.m. on a Saturday. In the 1970s, the shop employed twelve people. Lee and Briggs first warehouse was located in Twitch Hill in premises previously owned by J.W. Earnshaw, a rag merchant. They later purchased Baines' Mill at Horbury Bridge, which had previously been known as Foster's Mill, to use as a warehouse. The mill and shop warehouse was demolished in 1989. Lee and Briggs were amongst the first in Horbury to sell petrol. 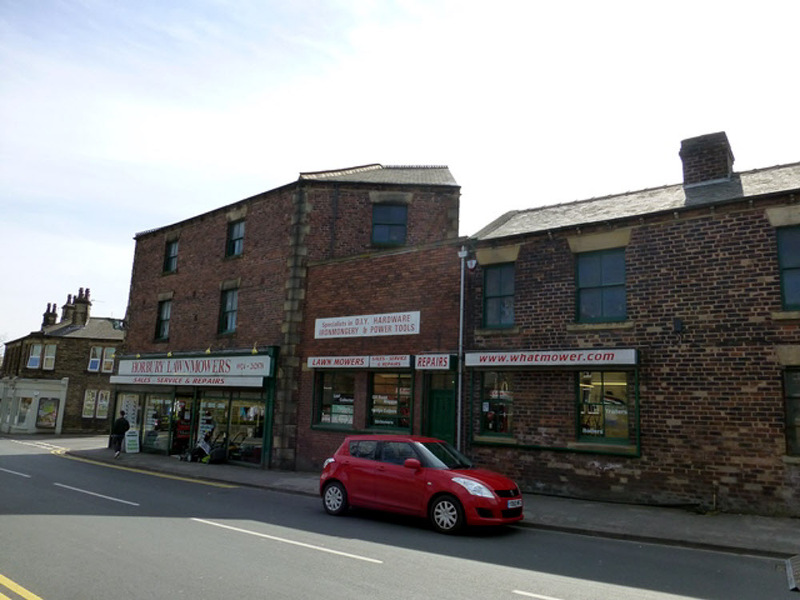 Above: After the retirement of Mr. George Lee and Mr. David Briggs in 1994, the shop premises were sold to Mr. Jonathan Schofield in April 1994 and he commenced trading as Horbury Lawnmowers, which is now a thriving local business. The company of Lee and Briggs Ltd. which was first incorporated in 1956 was dissolved on the 27th August 1996. Above: Another view of the old Lee and Briggs shop, now Horbury Lawnmowers in April 2016. Picture courtesy of Helen Bickerdike. 1. "Some Horbury Yesterdays" by R.D. Woodhall, first published in 1973.